Life lately has been challenging. It's been over 2 months now that we don't have a helper and since I quit my job. So as a stay at home mom, I get to do all the household chores and look after the kids, it seems like the job is never done. The struggles indeed is real and at some point, it feels like I'm on the verge of losing my sanity. Luckily, I still have it 'coz I don't have a choice! Hahahuhu. It's also a relief that the kids are on the stage wherein they are learning about becoming independent so I don't end up being a helicopter mom. They get to do some tasks on their own especially when it comes to their personal hygiene. The last thing I want to think about is dealing with sickness caused by neglect of basic hygiene such as hand washing, bathing and brushing their teeth, or else I might just really lose it (talking about my sanity, that is). This current situation, especially during weekdays, is so exacting. 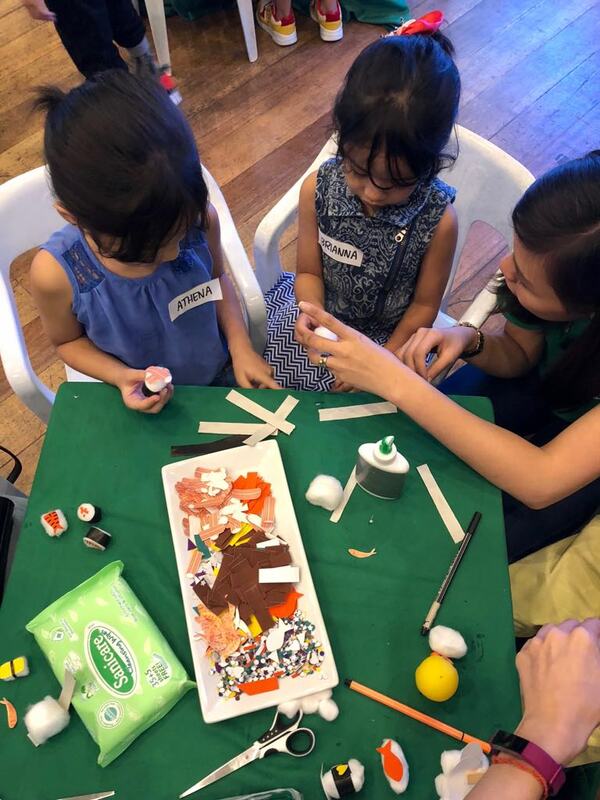 This makes me look forward to weekends more so I could spend quality time with the family and take care of the small project that we've ventured into. This is also the reason as to why I don't get to attend events as much as I want to. 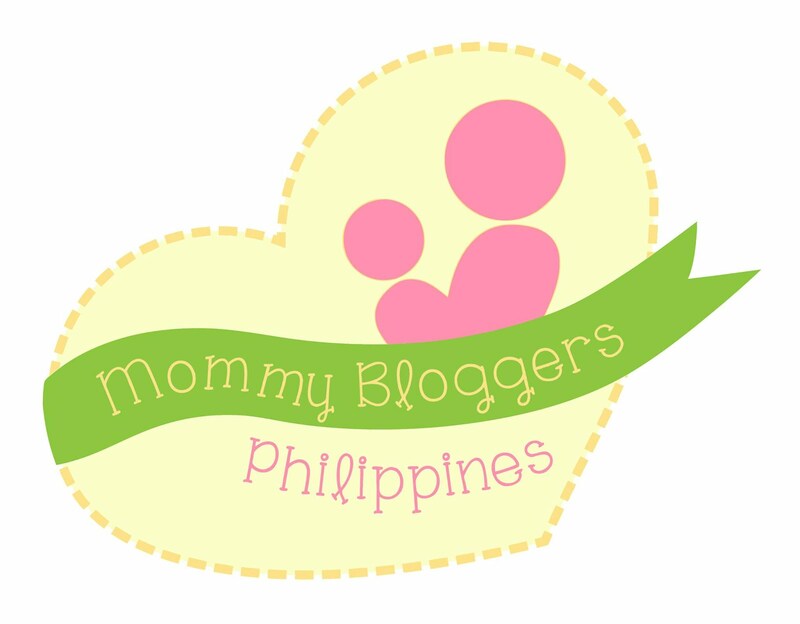 So when I received an invitation to attend a mom and kids event for Sanicare (good thing it falls on a Saturday) I did not hesitate, even though June 30 was our 6th Wedding Anniversary. With how things are going, we really didn't have a concrete plan for the occasion. So I signed up for the event and tagged along Athena and Brianna with me. Tristan has Saturday class so Jaear stayed with him, we just met after the event to have dinner. When you hear the word Sanicare, what comes first into your mind? For me, it's Hygiene without a doubt. 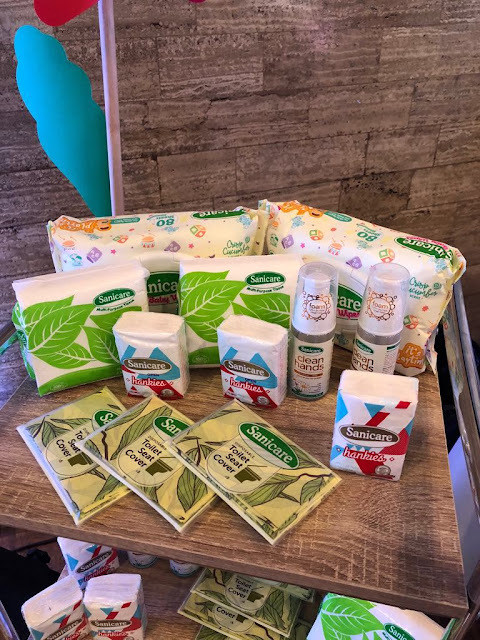 Sanicare is a popular household name known for producing quality hygiene products such as bathroom tissues, wet wipes, cotton, cotton balls and the like. These hygiene products are essentials in every home, but Sanicare is more than that, and that's something that I learned at the Sanicare Play Day which I will be sharing with you so read on. 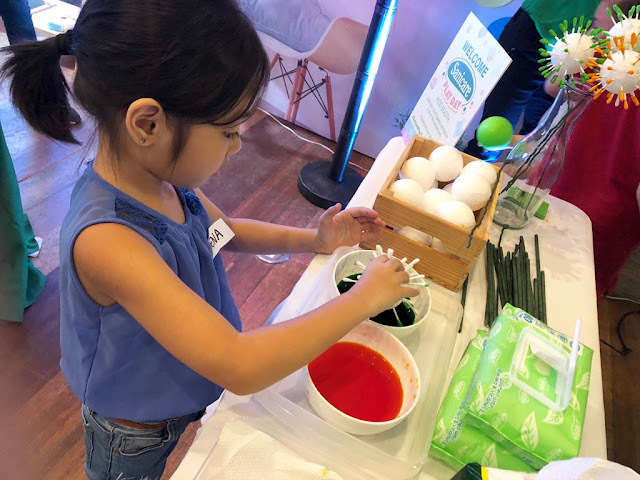 The Sanicare Play Day was held at the Axon in Green Sun Hotel which was set up with booths highlighting different life stages so moms and kids can choose the best fit for them but we actually got to do almost all the activities. Alright, off to our first stop, the Lavender and Cotton Ball installation where we had our photos taken. Brianna is being her shy self again, timidly smiling. 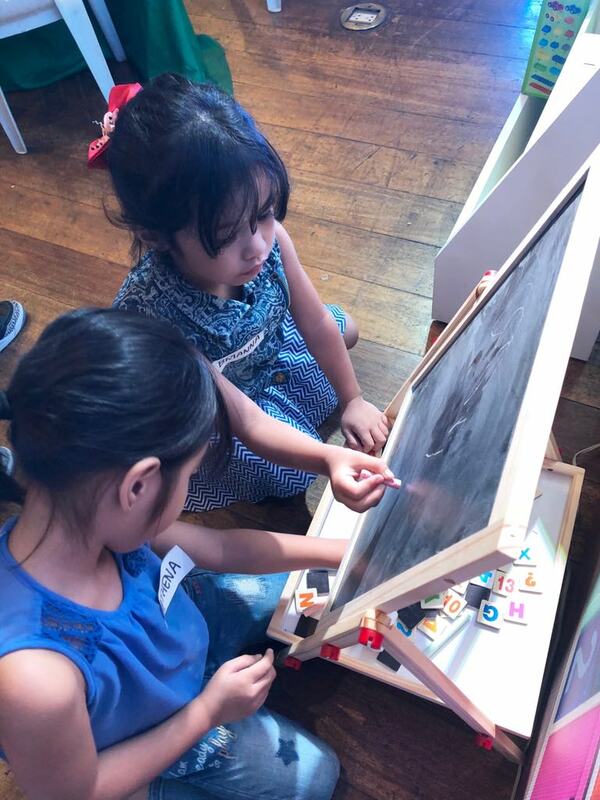 Next stop is the Kids corner where they showcased their artistic side. Most materials used are Sanicare products which is very creative I must say. 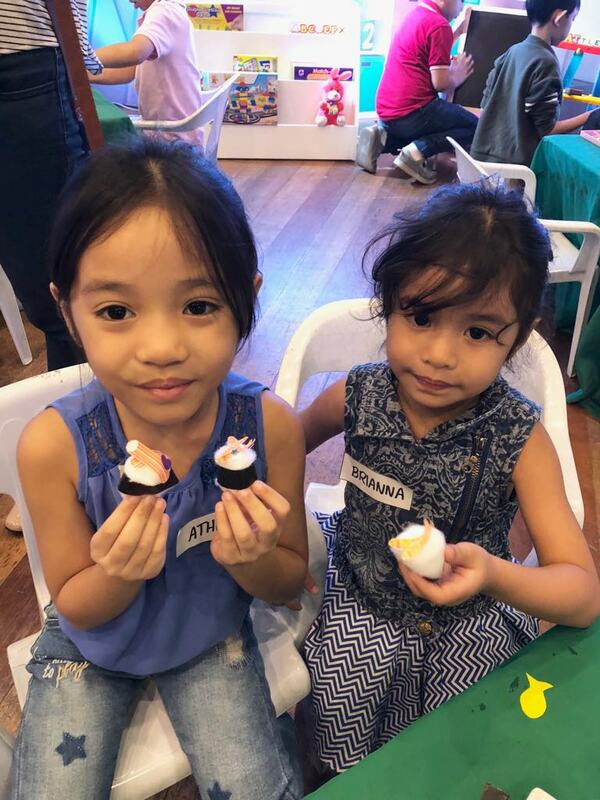 Athena and Brianna made their own cotton ball sushi. They also made a flower out of styrofoam ball and cotton buds. They also made a headband stand using the jumbo kitchen towel roll wrapped with a fabric. I forgot to take photos though. Athena and Brianna loves to draw. 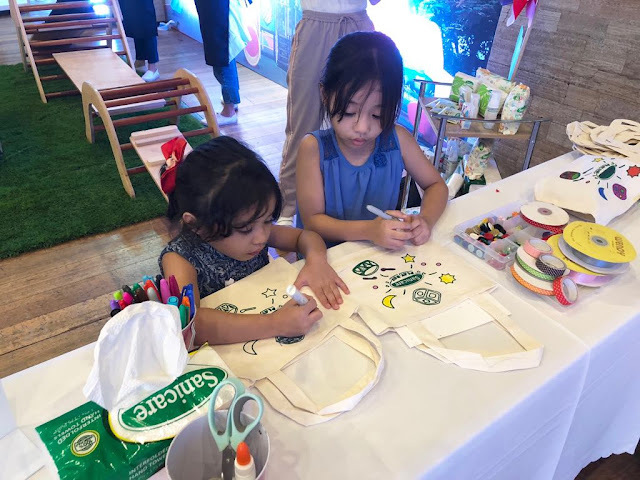 At the toddler corner, Athena and Brianna enjoyed designing their own eco bags. 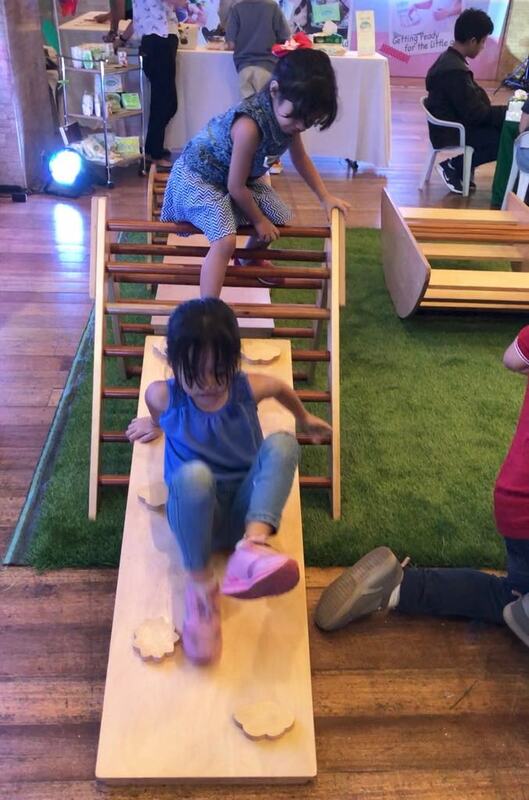 But one of their favorite was the mini playground area with a wooden rocker/seesaw and obstacle course. Next to it is the sand box which seems to be a hit to most of the kids. There were many kids playing so Athena and Brianna didn't get to play for long, though I can sense they liked it too. On the same side of the fence was the Baby corner. It was set up with rubber mats, pillows and squishy plushies as if inviting me to just lounge around. Too bad I didn't get to take any photos of it. There was also an activity area where the kids got their palms painted, pressed against a Sanicare paper towel and then had it framed. I really love the idea! Oh by the way, since most of the activities could get messy, upon entering the venue, every kids were given hygiene kits but we didn't get to use one bit because every booth was equipped with Sanicare products and are manned by people who are assisting the kids with all the activities. 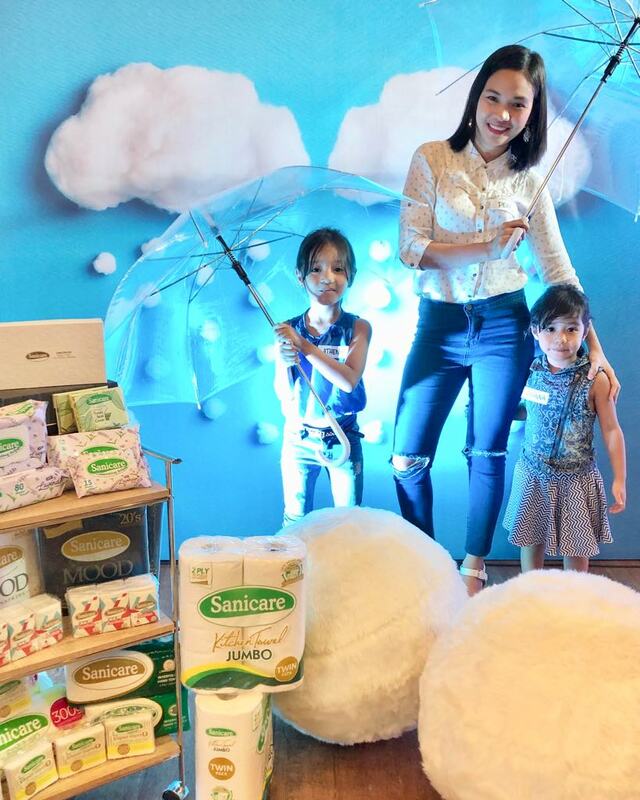 While kids were busy playing, I together with my fellow mommies celebrated Bianca Gonzles-Intal's first anniversary as Sanicare's first brand ambassador, she is also expecting her second child. 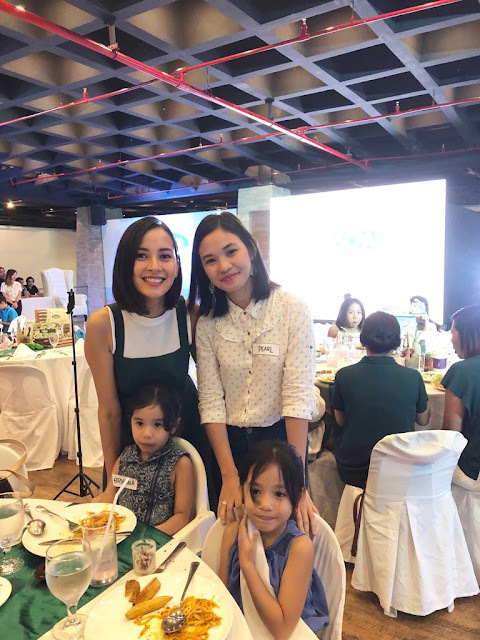 We also listened to her as she shared how Sanicare products have been there by her side during most of her life- from living with her parents to becoming a parent herself. It perfectly captured Sanicare's commitment of being everyone's hygiene companion in all life's adventure. "Keep hygiene fun and teach hygiene by example. 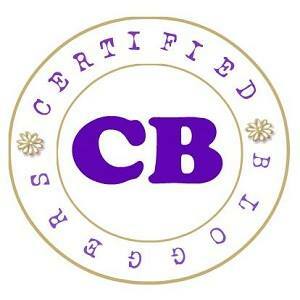 Kids follow what they see and will definitely pick up on your hygiene habits!" I totally agree with Bianca, that is also what we practice at home with the kids and I'm so glad that it grows on them. Now that 2 of our kids are in preschool and 1 in grade school, they are fully aware about proper hygiene. 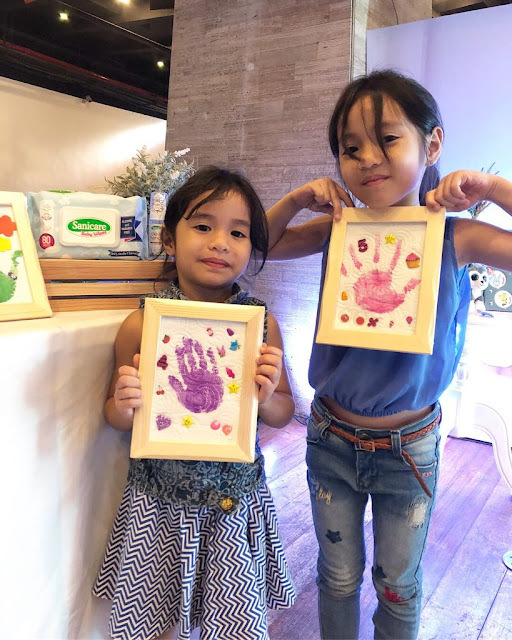 They would wash their hands when it's necessary but if there's no access to soap and water, they make use of their hygiene kit (which we never leave the house without) containing their hand sanitizers and wipes. That's one less worry for me knowing that they'll be alright in times when I am not around. I also learned that Sanicare is a homegrown, proudly Filipino-owned company that is already 20 years in the market. 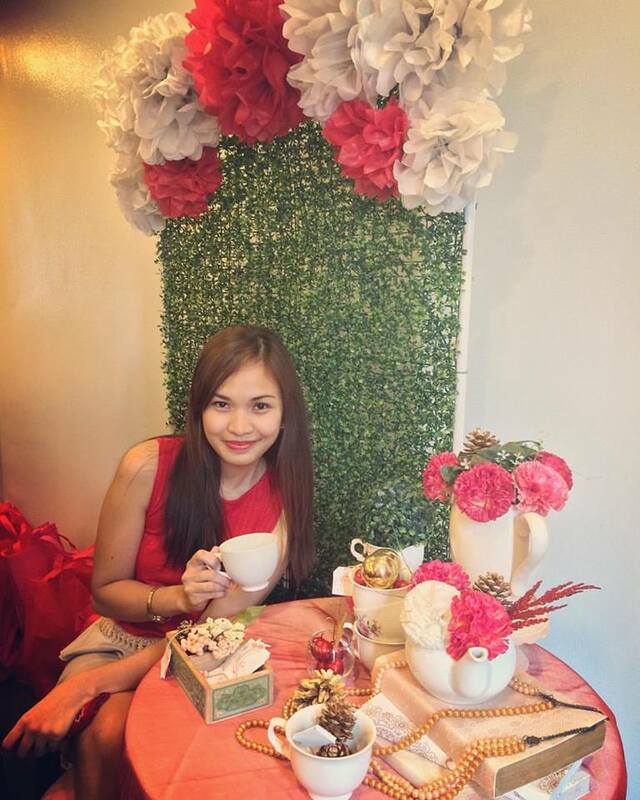 Also, Sanicare uses 100% virgin pulp that has no artificial whiteners and no elemental chlorine. True enough, they have our best interest in mind. At the event, I get to discover some products I never new existed such as the Toilet seat cover. This is definitely an addition to our hygiene kit essentials as I never let the kids sit on public toilets. What I like about it is that it is 100% biodegradable so you can just flush it down at the toilet. We are also loving the Clean Hands Foaming sanitizer, the kids are fond of the bubbly surprise and according to Brianna it's just like soap! 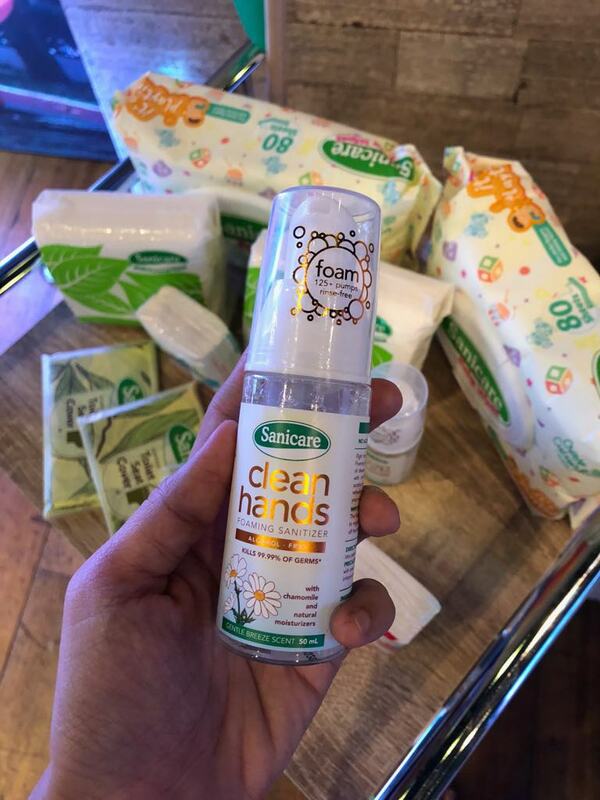 Plus it's alcohol free, another addition to our hygiene kit essentials. Kudos to Sanicare for providing quality products designed for all life stages, they make sure that every hygiene woe meets its match! For a mom like me, having a go-to hygienic choice is a respite from all the decisions I have to make every day. 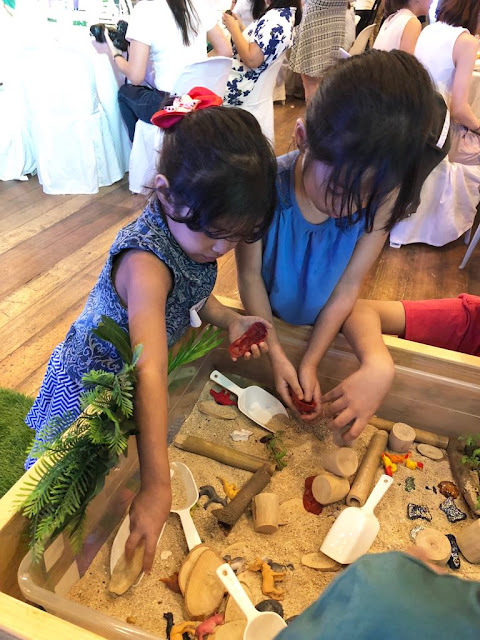 So much fun and learning at the Sanicare Play Day. 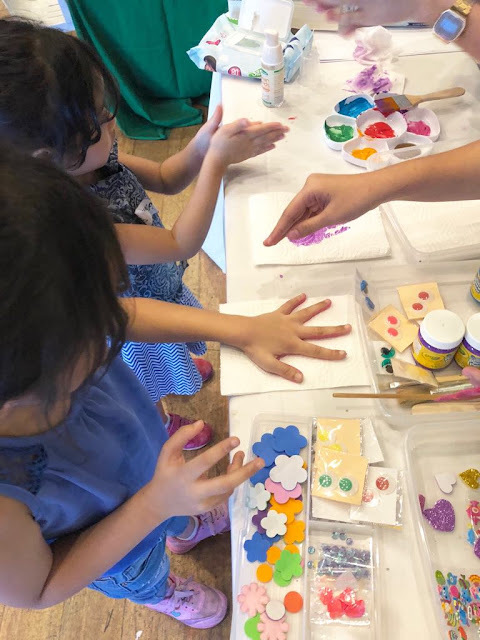 I'm really glad I brought the kids with me because aside from all the playing they were once again reminded of proper hygiene in the most fun way possible! After a mundane week of just school-home routine, Athena and Brianna really looked forward to the event and they weren't disappointed. It's been almost a month now and they still can't get over about it, that whenever they see Sanicare products, they would start talking about all the fun they had. Thanks again Sanicare for having us! Sanicare will continue to aspire to give its customers one less worry at every stage of their life by pursuing innovative hygiene products that will be every Filipino's companion in their life journey. 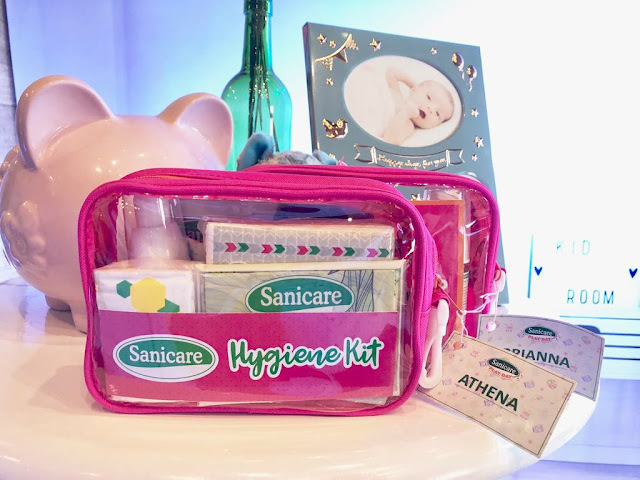 To know more about how Sanicare can be your family's hygiene companion in all of life’s stages, you can visit the Sanicare Facebook page here: https://www.facebook.com/sanicare.ph.